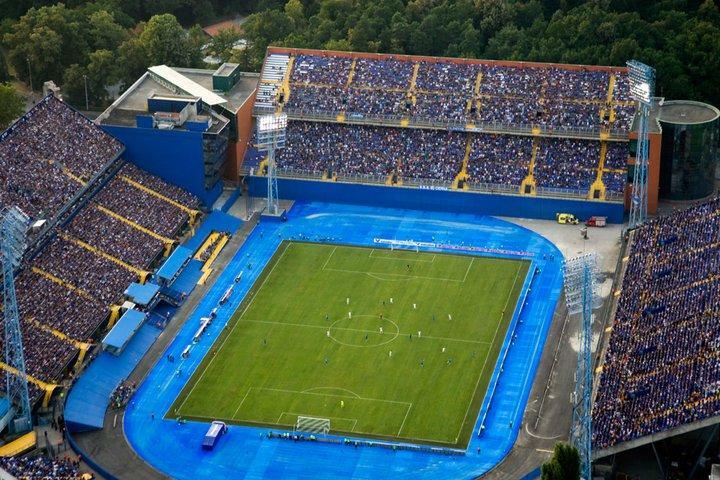 Stadion Maksimir got built in 1912 and opened on the 5th of May of that year, though it initially only was a pitch with one simple stand. In its first decades, Stadion Maksimir was the home HAŠK Građanski, but got quickly expanded and turned into Zagreb’s prime sports stadium. In 1948, Dinamo moved in. 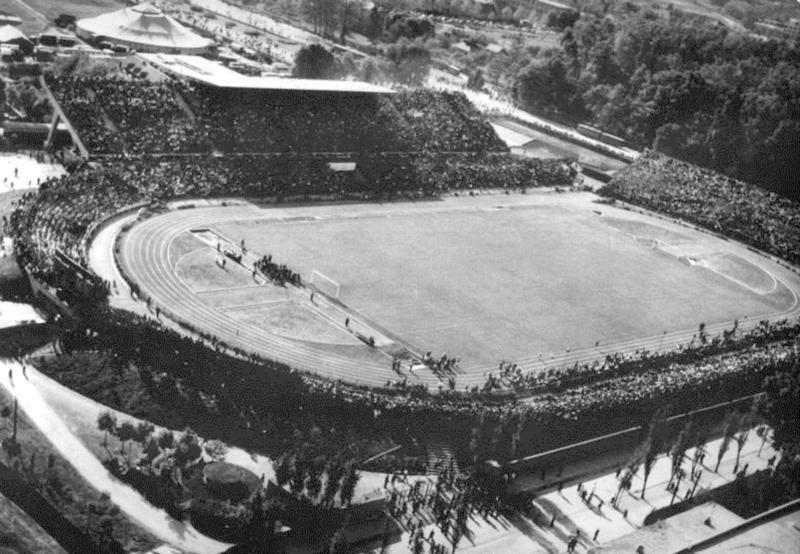 In the post-War years, Stadion Maksimir was a rather bare bowl-shaped stadium that consisted mainly of terraces. The stadium had a capacity of about 45,000. 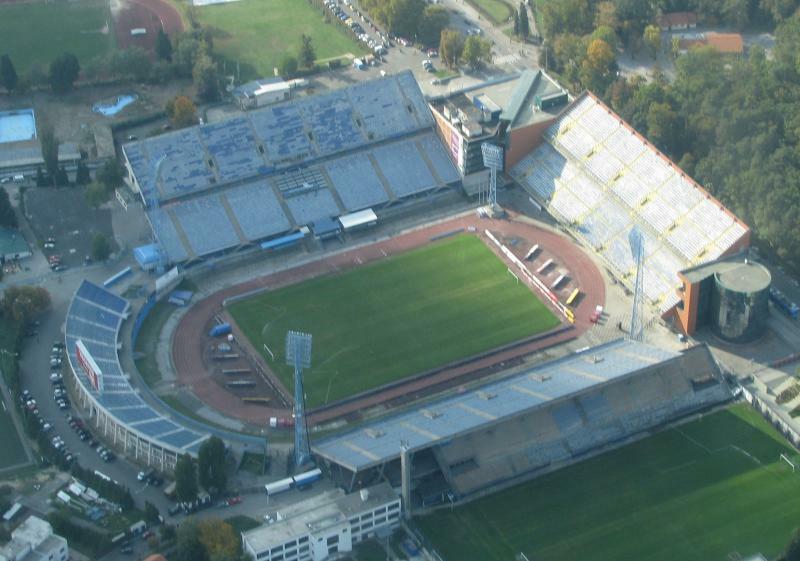 Stadion Maksimir underwent major redevelopments in 1997 and 1998. First, the East and South stand were completely rebuilt, and one year later it was the turn of the North Stand to get reconstructed. At the same time all (remaining) standing areas got converted into seats. The stadium received a further minor upgrade in 2011, mainly focusing on the stadium’s facilities and the pitch. In the last decade, other plans have been presented that aim to further modernise the stadium, most notably by constructing a roof, however no developments are expected at the moment. 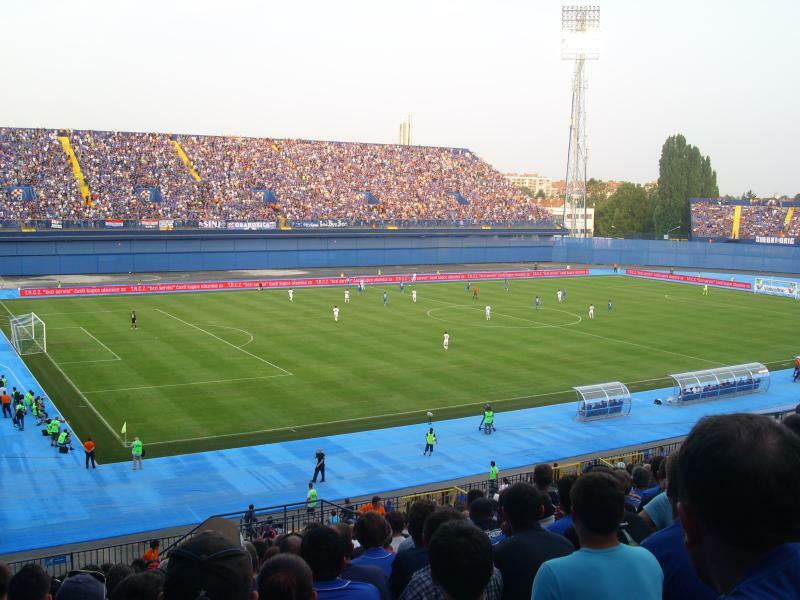 Stadion Maksimir is located toward the north-east of the city of Zagreb at about 4 kilometres from the city’s main railway station and a similar distance from the city’s historic centre. The stadium is bordered on its northern side by Maksimir Park, the city’s largest park. The stadium lies close to two of Zagreb’s main avenues, Maksimirska and Zvonimirova, which both connect the stadium with the centre and the city’s ring road in the east. There are various options to reach the stadium by tram. From Ban Jelačić Square (in the city centre) one can either take tram 11 (to Dubec) or 12 (to Dubrava). Both trams pass the stadium north over Maksimirska avenue. Get off at stop Bukovačka or Hondlova. Alternatively, one can take tram 1 or 17 (both to Borongaj), which pass south of the stadium over Zvonimirova. Get off at stop Svetice. From the main railway station (Glavni Kolodvor) one can take tram 4 or 9. Tram 4 (to Dubec) passes over Maksimirska avenue, whereas tram 9 (to Borongaj) passes over Zvonimirova. From the bus station (Autobusni Kolodvor) one can take tram 7 (to Dubrava) or 5 (to Maksimir). All trams go at least once every 15 minutes, but generally much more often. Journey times ranges between 10 and 20 minutes depending on where you get on. Stadion Maksimir is located in a predominantly residential neighbourhood. It is bordered on its northern side by Maksimir Park, which is a pleasant place to spend a few hours on a nice day. There is also a zoo nearby. There are some places to eat and drink along Maksimirska avenue, though you can do this just as well in Zagreb’s centre and then catch a quick tram to the match. There are a few hotels and rental apartments as well a little west of Stadion Maksimir on or around Maksimirska avenue, at about 10 minutes walking of the stadium. Hotel Maksimir is affordable and gets decent reviews, and Funk Lounge Hostel will please the budget traveller. Then, a little further west, there is B&B Studios Kairos, which gets superb reviews. 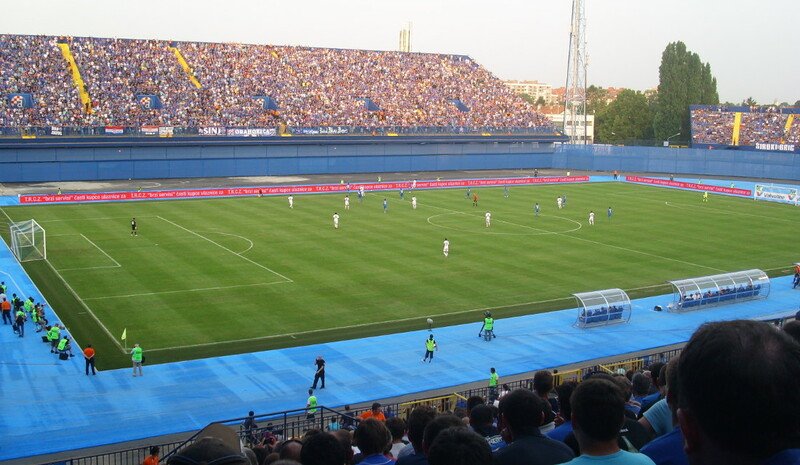 Click here for an overview of hotels near Stadion Maksimir, or here to explore the options in central Zagreb. Tickets for Dinamo matches can be bought online, or at the ticket office at the stadium on the day of the match. Tickets are also available on the gate from a few hours before kick-off. Dinamo never sell out a regular league match. Identification may be required in order to be able to buy a ticket. Tickets for regular league matches typically range in price from HRK 5.00 for a seat behind the goal to HRK 15.00 for one at the main stand. Prices will be higher for more important matches (e.g. Champions League), though Dinamo also occasionally offer discounted prices as cheap as HRK 1.00. Gnkdinamo.hr – Official website of GNK Dinamo Zagreb. Zagreb-touristinfo.hr – Official website of the Zagreb Tourist Board. Zet.hr – Zagreb public transport information. I went to watch Dinamo-Osijek game last weekend. Having booked holiday in Split I decided to take 10-hour round journey to see the best Croatian team. Attendance was only slightly over 3000, because Bad Blue Boys do not attend matches for some reason. Away supporters were loud and sang during the entire game. The game itself was not the most entertaining(Osijek won 1-0). That was the first home defeat in domestic league in 6 years for Dinamo. Tickets were obviously available before the game. The most expensive was 30 HRK. The view from the seat was really good. The stadium is old but still nice. I caught tram number 7 from outside the bus station. There are various trams that go to the stadium. I would go there again but maybe for the game against Hajduk or European opposition.